I enjoyed a really good day of fishing last week here on the Big G guess you could call it some “Me Time”. The fish had moved a little since New Year’s Day, after some time of fishing with no bites I had to think about what could’ve changed…. Couldn’t think of anything so I decided to try another spot and started getting bites and all I can figure out was the timing of the spot. Still working lipless on grass lines along with jerkbaits on rock. Using a 7’3 Duckett Fishing Med. Hvy. with 14lb Sunline Sniper Fluorocarbon for both techniques. Had to work for my bites but they where worth the effort. 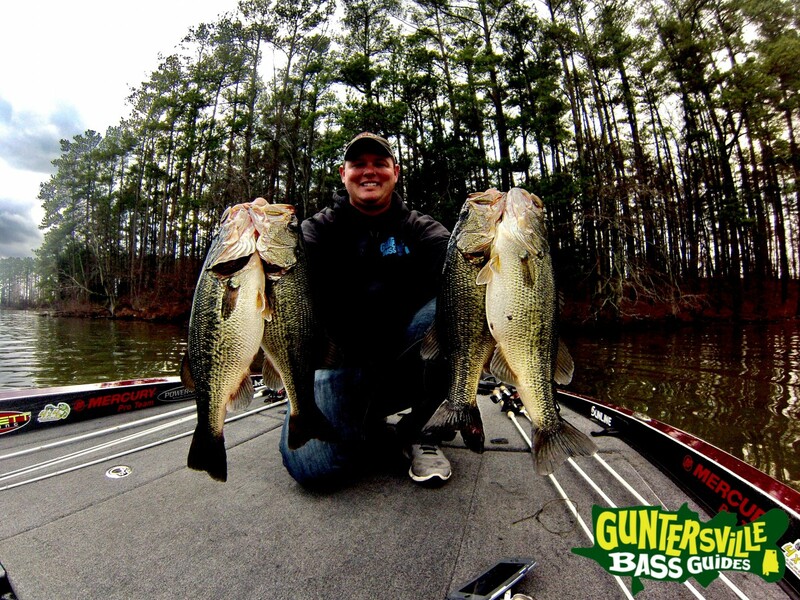 Come to the Big G and fish with me and you’ll see for yourself how fun these bass are! Just contact me for available dates.